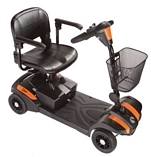 At Complete Care & Mobility we are committed to only selling you high quality goods and services. All our products and services are specially sourced to provide you with an excellent service. We truly hope you enjoy your purchase and that it will give you years of use and satisfaction. There may be times, however, when you need to exchange or return an item that you have purchased. It is essential that prior to any use and/or installation that the items are checked. You must also only use the product as set out in the manufacturers instruction book. We also have to point that unless stipuated, all goods and services we sell are for domestic purposes only. Complete Care & Mobility strongly recommends that you contact us in the first instance if there is a problem. Our contact number is on the ‘contact us’ which you can access from the main home page. Hygiene products, drinking straws, beakers, pressure care items, patient care items, electrical products, telecommunication products, incontinence pads & hygiene/bed/chair pads, continence aids, dental products, cosmetics, bespoke & special orders and foot spas will not be exchanged or refunded unless proven faulty by our after sales team. Items returned that have been damaged or broken by the customer will not be refunded or exchanged. The customer must return the product to us using a tracked courier service, Complete Care & Mobility are not liable for return courier fees. Courier fees will be refunded if the product is deemed faulty by our after sales team. All non faulty items will not be refunded or exchanged. A credit note may be issued at the Managers discretion. Prior to any refunds being made, the product will be closely inspected and tested by our after sales team. All bespoke, special orders and personalised orders will not be refunded or exchanged unless proven faulty by our after sales team. All deposits taken for special, bespoke and personalised orders are strictly non refundable. Refunds will be made VIA the original payment method. If a payment has been made by debit or credit card, the refund will only be made to the card that was used at time of purchase. If the original debit/credit card is not available or no longer in use, a credit note will be issued. Refunds made to credit cards will not include the credit card handling fee. All credit card handling fees (If Applicable)(surcharges) are not refundable. All Warranties, insurance and finance are provided by external Companies and are subject to their restrictions and terms & conditions of business. Please refer to their literature which will be provided to you when you receive your product.